Improperly discarded fishing line can entangle wildlife (most notably turtles, fish, seabirds and wildlife), and also pose a hazard to boaters and ocean users. By encouraging anglers to recycle their line, the program both directly reduces the amount of line that ends up in the environment and reduces the amount of virgin plastic that is needed to make items such as tackle boxes or spools. And as you may know, plastics are the number one most common piece of trash found in the environment – so the less plastic we create, the less trash we make! 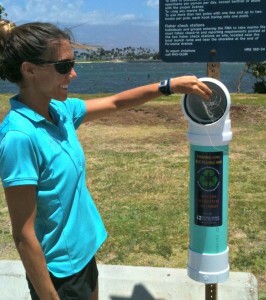 To date, Pacific Whale Foundation has installed two separate bins – one at Kahului Harbor and one at Ma’alaea Harbor. These bins have thus far collected over 5,000 feet of monofilament line!! 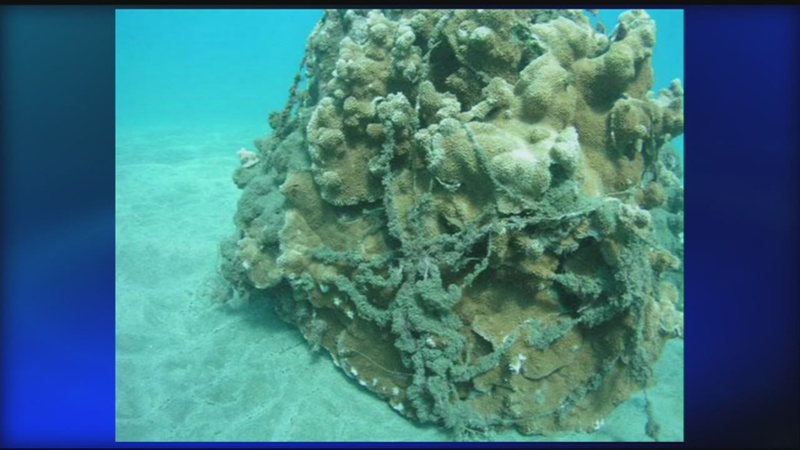 Marine debris is a serious issue throughout the world’s marine and coastal environments, but it is local initiatives such as recycling fishing line or encouraging the use of reusable bags and water bottles that will lead to a more healthy (and happy!) environment. These types of initiatives, furthermore, put the change directly in the hands of the community, and in doing so, empower the people who rely directly on the resources. To learn more about Pacific Whale Foundation’s fishing line recycling program, please visit Don’t Leave Your Line Behind.